Paul Careless is a name you might not have heard of but the Brighton based entrepreneur has wasted no time making a name for himself on the UK business spectrum. 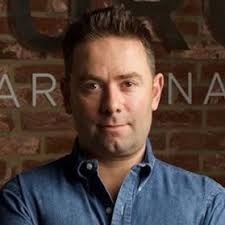 As the CEO of Brighton based Surge Group, Careless has used his Instagram profile to share the much desired qualities of Surge’s Brighton offices which feature a café that serves fresh breakfast daily. Surge Group powers some of the UK’s largest alternative investment companies, and in 2018 their turnover exceeded £50m and they currently employ over 120 staff. A former military man and policeman, the multi-millionaire businessman lives in Hove whilst Surge Group is headquartered in Brighton. In 2018, Careless was named the 10th most influential person in Brighton after making the Brighton Power 100 list, Careless beat off the likes of Conor Maynard and Katie Price who were placed at 11th and 12th place respectively.